when it wasn’t 80 degrees in march, or 70 in april, you know, mid february, i decided the first fairbanks didn’t fit the little anymore. 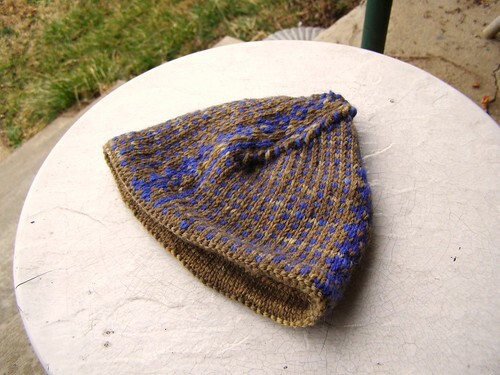 and as i mentioned, if i’d used worsted instead of aran or gone up a needle size on the first, i would have been golden. but there just wasn’t enough stretch in it. these are the leftovers from 2 skeins of snapdragon worsted. the brownish color is leftover from my brother’s windschief. i love the yardage on these skeins! 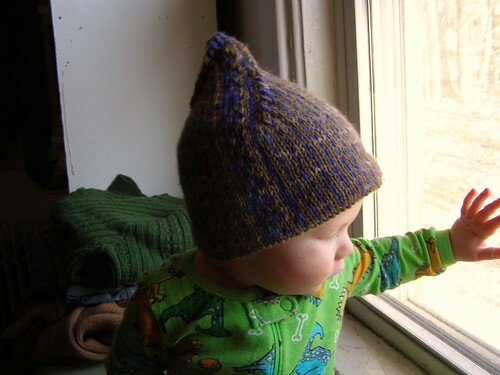 i also included a stripe of this in the babe’s most recent sweater. and the purple is leftover from a sweater i’m currently knitting him. raveled here. and he wore it a bunch before it turned to 70-80 degrees, so that’s good. 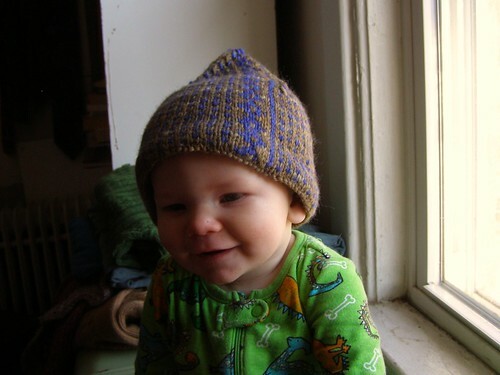 This entry was posted in cosyknitsliterally, dyeing, hats, knitting, patterns by cosymakes. Bookmark the permalink. It looks so cute on him! And the colors too. 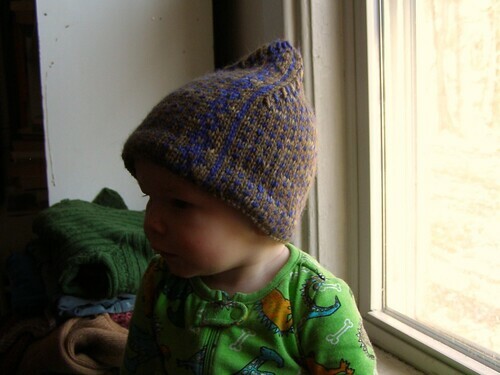 I’m going to have to make one of these hats eventually.